Hunter Mill District Supervisor Cathy Hudgins says there’s a clear need around Reston for new streetlights. Hudgins believes residents are currently dissuaded from taking pedestrian paths through Reston because the sidewalks are poorly lit, she said during a discussion about new lighting across Fairfax County in an Environmental Committee Meeting today (Tuesday). 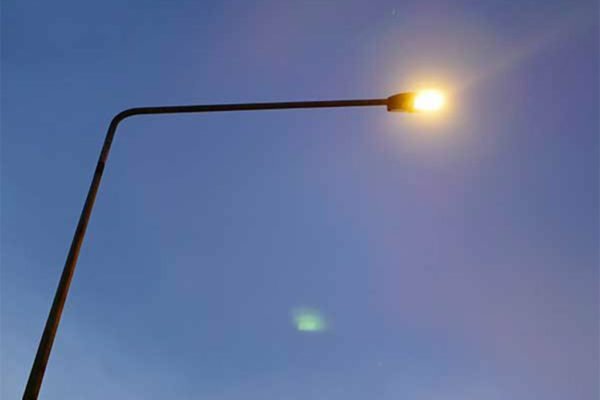 The topic of streetlights in Reston emerged from a discussion of Fairfax County’s arrangement with Dominion Energy to begin replacing existing lights with LEDs. Fairfax County will be responsible for the costs to convert functioning streetlights, though any that are damaged or fail prematurely will be converted to LED at no cost to the county. While Agazi said the county would reduce $1.4 million in annual costs if all of Fairfax’s 58,000 streetlights were replaced with LEDs, some of that savings would be offset by the cost of adding new streetlights throughout Reston. Hudgins said more research needs to be done on how many lights would be needed and what advantages it would bring to the community. Streetlights are not a new topic of discussion in Reston. In 2017, the Reston Association’s Environmental Advisory Committee expressed concerns that increased lighting could have an adverse effect on wildlife. Agazi said staff will begin working on a report on the possibility of adding streetlights to Reston.